Under this law, the president still has complete discretion to issue an emergency declaration—but he must specify in the declaration which powers he intends to use, issue public updates if he decides to invoke additional powers, and report to Congress on the government’s emergency-related expenditures every six months. The state of emergency expires after a year unless the president renews it, and the Senate and the House must meet every six months while the emergency is in effect “to consider a vote” on termination. For instance, two months after 9/11, the Treasury Department designated Garad Jama, a Somalian-born American, based on an erroneous determination that his money-wiring business was part of a terror-financing network. Jama’s office was shut down and his bank account frozen. News outlets described him as a suspected terrorist. For months, Jama tried to gain a hearing with the government to establish his innocence and, in the meantime, obtain the government’s permission to get a job and pay his lawyer. Only after he filed a lawsuit did the government allow him to work as a grocery-store cashier and pay his living expenses. It was several more months before the government reversed his designation and unfroze his assets. By then he had lost his business, and the stigma of having been publicly labeled a terrorist supporter continued to follow him and his family. Now imagine Trump in charge of the government under a State of Emergency. If you are a Trump supporter, imagine Hillary Clinton as POTUS declaring a State of Emergency. Past Presidents who have declared States of Emergency have only done so under extraordinary circumstances, and they have shown respect for the Constitution. By contrast, Donald Trump was elected to be a disruptor, and he has shown little respect for Washington norms. As an example, Trump wanted his personal pilot to head the FAA, and he has a record of demanding personal loyalty instead of loyalty to upholding the Constitution. 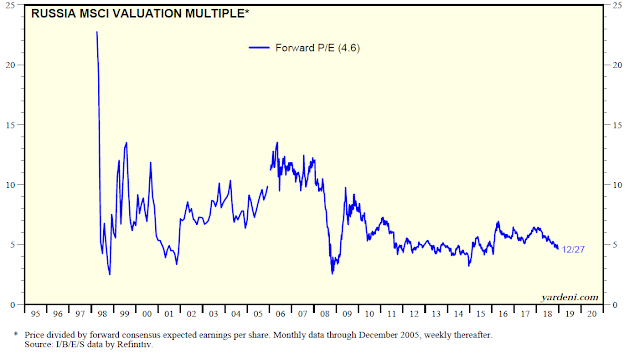 When you hear an investor compare US, UK, German and Japanese stock market valuations with the countries that make up the Emerging Markets index, try to keep in mind the fact that the discounts of the latter are nearly always warranted. We can debate about the degree of cheapness in emerging Latin American or Asian stock markets – this is subjective. What is not up for debate is whether or not there ought to be a discount. Of course there needs to be. And the reason why, very simply, is the presence of a rule of law that applies to everyone – or, at least, the perception of a rule of law. Shares of stocks are contracts; agreements between the owners of a business and those who manage it on behalf of those owners. And these contracted agreements – regarding the payment and allocation of cash flows, safeguarding of intellectual property, continuance of competitive business practices, respect for minority shareholders, etc – are sacrosanct. The same could be said of the governance environment in which the companies operate. Investors need to feel that there is fairness and a set of rules that everyone must adhere to. No one would build a house on quicksand and no one would exchange currency for pieces of paper in an environment where legal protections no longer mattered. This is the kind of behavior that investors find in emerging market countries. 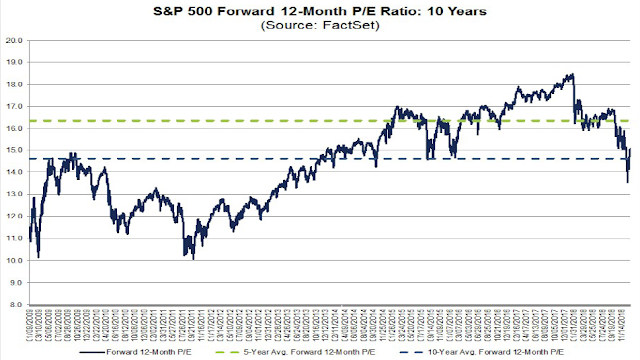 According to FactSet, US equities trade at a forward P/E of 15.1, which is just slightly above the historical 10-year average. Compare this to the forward P/E of EM countries with executive power concentrated in autocrats and weak institutions. 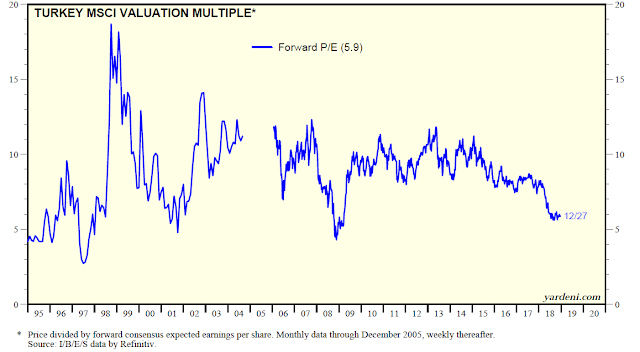 They mostly trade at single digit forward P/E multiples. Watch for the market to start pricing a political risk premium under a State of Emergency. Such a development would be equity and USD bearish, and gold bullish. Russia, the home of the kleptocrats, trades at 4.6x forward earnings. 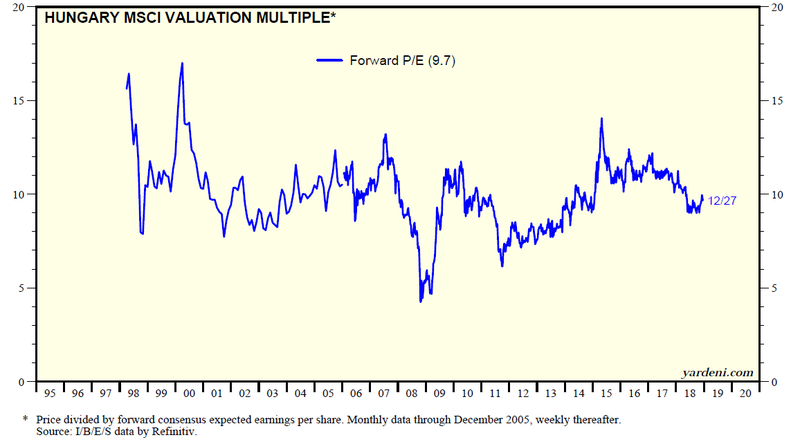 Turkey, which has been the bad boy of the markets, trades at 5.9x forward earnings and the historical average is under 10. China trades at 10x forward, but the historical average is in the low teens. For an explanation of why P/E ratios would deflate, imagine the following extreme scenario. Donald Trump declares himself President For Life. At what rate would you lend the US Treasury money for 10 years? The current rate of 2.7%? What would you demand? 4%? 7%? 10% or more? 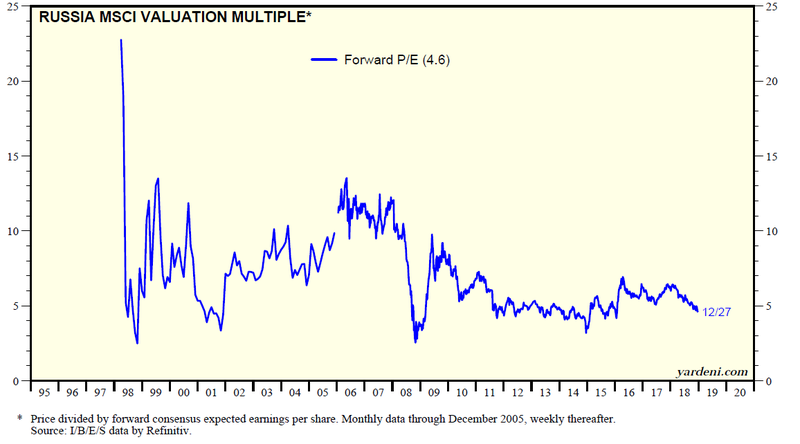 Add 3-5% for an equity risk premium over the 10-year Treasury yield, and invert the result. 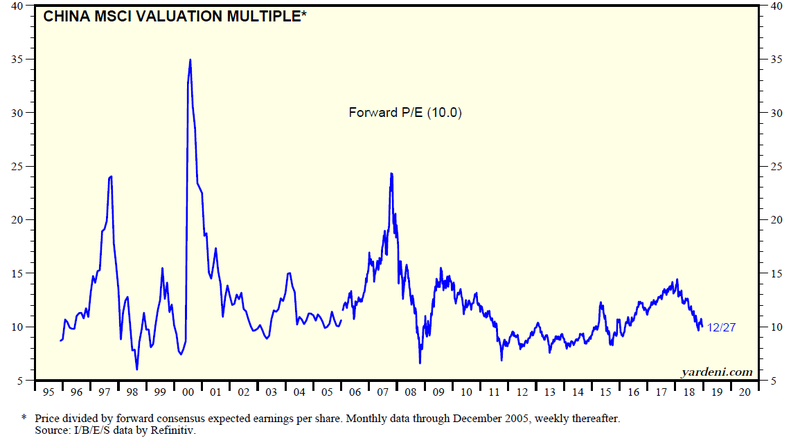 That’s how you approximate a target P/E ratio. Supposing you decided that you would lend money to a Treasury controlled by Trump at a rate of 7%. 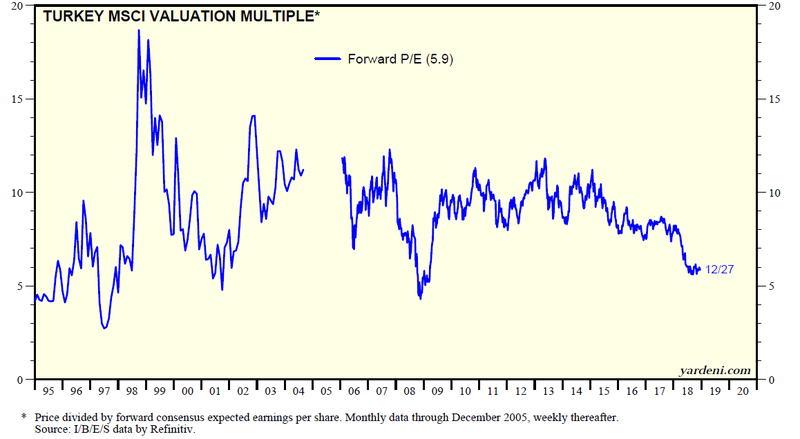 Adding in an equity risk premium of 4% translates to a forward P/E of 9x earnings. 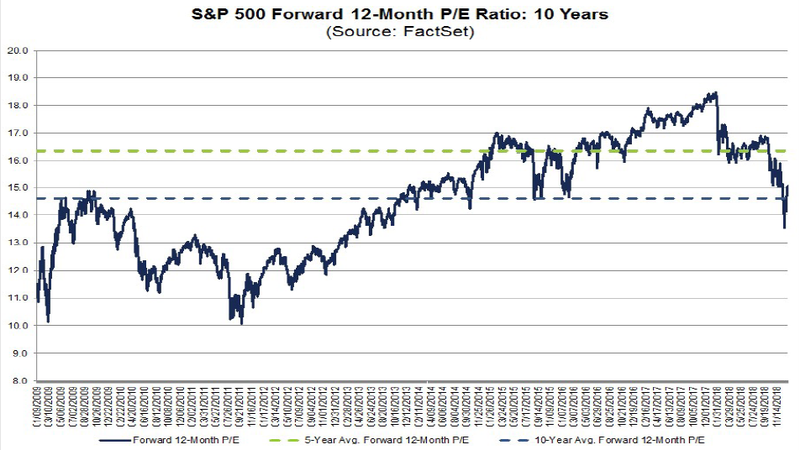 If the SPX were to fall from 15x to 9x forward earnings, the index would fall to roughly 1600. No doubt the Democrats will fight Trump’s powers through the Courts, but even if they were to succeed in restraining presidential powers, the process will take several months, and the markets will shoot first and ask questions later. On March 15, 1783 the officers under George Washington’s command met to discuss a petition that called for them to mutiny due to Congress’ failure to provide them back pay and pensions for their service during the American Revolution. George Washington addressed the officers with a nine-page speech that sympathized with their demands but denounced their methods by which they proposed to achieve them. Washington refused. It was a key moment in American history. He could have become President For Life, but he had too much respect for the institutions that he fought for. Go and read the foll account of Washington`s address to the troops. To even imagine and write the words that “Donald Trump declares himself President For Life” because he wants to stop the flow of illegal aliens, drugs, criminals, and even people on the terrorist watch list across our southern border is irresponsible, divisive, and indicates you’ve been getting your opinions from too many anti-Trump sources. And, it does not lead to useful investing advice. Better to write an article about the effect on the markets if he declares the specific state of emergency being discussed. She declares a State of Emergency to ram through some initiative because of a budget impasse. Once she has cross that Rubicon, how much further is it to manufacture some crisis and declare herself President for Life? I appreciate Cam’s comments! Good job! To second Cam’s answer, actually, it does lead to useful investing advice. Imagine you were in 1939 Germany, and someone told you to cash out of German stock market, which is not what Cam is saying, he is playing a hypothetical scenario. This is not being hysterical, just pointing out that Germany did happen. So, telling it like it is, is useful advice. You don’t have to agree to it, but you can’t blanket statement and tell him he is being irresponsible And seeing the way Trump is going, I don’t believe Cam is at all far fetched with that Scenario. Just a counter point to your point. And, maybe you need to get your news from other than Faux News. Also, will you feel ok if if HRC made up a Crisis and then declared an Emergency due to this made up crisis? Just wondering. The key phrase is “he (Washington) had too much respect for the institutions that he fought for”. We now have a president that has not fought and has no respect for institutions, only motivated by his own ego. President for life? Surely prison for life is a more plausible scenario! The Mueller inquiry is shaping up, and its possible Trump won’t complete his first term, never mind run for a second. I think at this forum we should just focus on investing. Pls don’t dip into personal preference. Whatever happens in the future we can assess and adjust. For a diversion, let’s see if the last man standing, i.e. the cloud-related software issues, can continue to stay at close to ATH. Their leader, MSFT, does not act well compared to the rest of the group. If AMZN also reports AWS numbers not as hot as before, then we will have a serious problem. That means big chunk of NDX growth is waning. Cloud is the only high growth area we have. I remember MU said not long ago that these big cloud companies suddenly reduce the order of their memory modules, saying they have too much inventory. What does this mean precisely? There is an old adage of investments. Buy at the sound of cannons and sell at the sound of trumpets. I am not sure of the origin of this, but it seems like politics rules geopolitical investment risk with a capital P.
Trumpism is no different and one would be cavalier of ignoring the risks that President Trump brings to the table. In the world of investments, risk is omnipresent, rewards are nebulous. It is about control of risk, and politics is one type of risk, no question about it. Thanks Cam, for floating a Black Swan idea. War is one that keeps me up at night. America waged wars in 1991, 2001, one a decade, though the sample size of two is meaningless. That said, one may be around the corner. I am still amazed that so many smart individuals still think (or hope) the Mueller inquiry will bear fruit. If the Mueller inquiry is thought of as a company, after using countless millions and almost two years and still nothing to show for the investigation. Shorting this company would be the most profitable strategy. This is not not meant as political comment. I wonder are there any betting action on the Mueller investigation.